Preschool education is about the development of important skills – those that are needed in everyday living, in relationships with other people, and in being ready for school. We strive to have each child working to his/her full potential, in all developmental areas, and to have them feel good about themselves and the prospect of school. We believe a child's play is his/her work. It is the one way he/she has of making sense of the world in which they live, and of developing their skills - emotionally, socially, cognitively, physically and spiritually. Due to the unique nature and capabilities of each child, we cannot expect them to have all reached the same level at the same time. What we can strive for though, is to capture the learning interests and curiosity of each child, through the experiences we offer, and by providing an environment in which the child feels free to explore and learn without fear of failure. As we are working towards developing all these skills in your child, we plan our program around what is known as the "process-centered" approach; that is, what is extremely important is the process by which the child discovers and learns. If we can instill good ways of learning things now, it will certainly help them in their efforts at school, and all through life. Provide an environment where strong communication exists between families and teachers. Provide a safe environment where children can learn conflict management and problem solving. 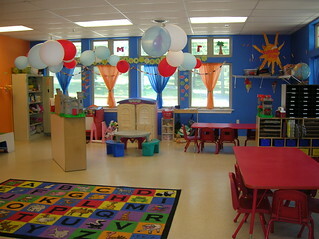 Provide an environment where children are encouraged to become independent and self-reliant individuals. Provide a developmentally appropriate program and environment where each child can grow at his/her own pace. We want to recognize each child as a whole person and to nourish and encourage development in each area of his/her life: the social, the emotional, the cognitive, the physical, the creative, and the spiritual. 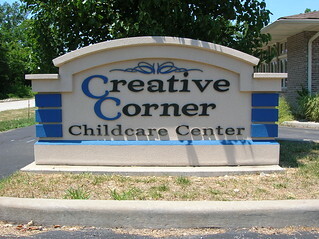 Provide, for families, a place for friendship, encouragement, support, growth, fun and involvement with their preschooler. Playing and talking are ways in which young children learn about themselves and the world around them. Children are actively involved in learning. Children learn best through plany and hands on activities. Children should be an active part of their learning experience. Open and honest communication should always be a priority between parents and teachers. The thoughts and ideas that children express should be validated by an invested adult listening to and acknowledging them throughout the day.